Do You Have a Question for BBTV? Join our AMA! We love hearing from you and want to help with any questions you may have about improving your YouTube channel, growing your social media outlets or branding yourself better! So we want to take things to the next level! Do you have a burning question for us or are you looking for advice on how to make your channel even better than it already is? 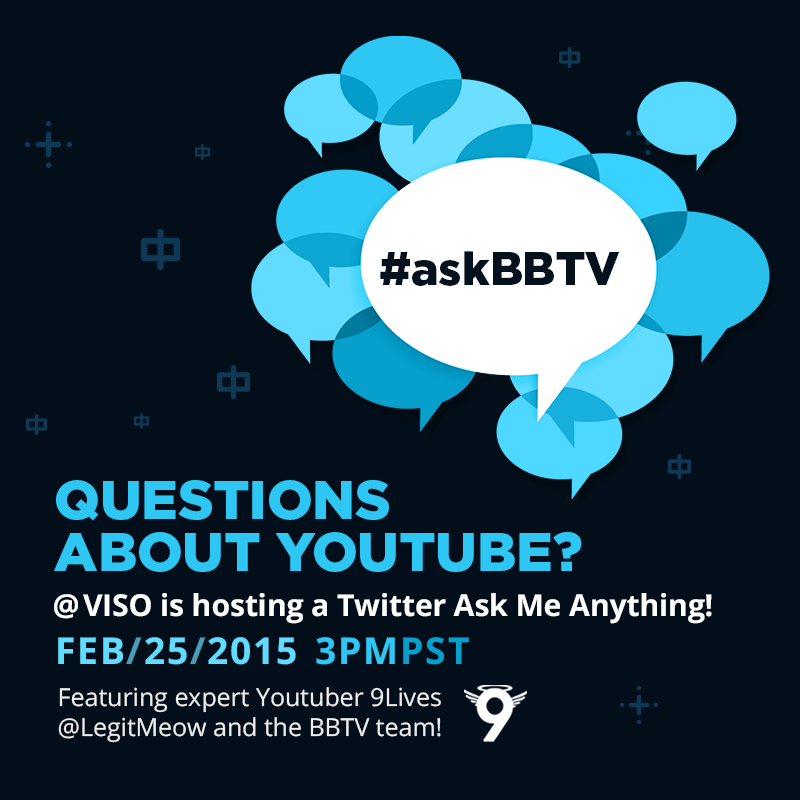 BBTV will be hosting a Twitter AMA for all partners, February 25th, 2015 at 3PM PST on the @VISO page! Tweet at us using the hashtag #askBBTV to get your questions answered by our experts. Successful Youtuber and member of the BBTV team, 9Lives will be joining in on the conversation! You can check out his channel here! He will be joined by YouTube Certified, Social Media Expert, Crystal Mak. We would love to hear from you and can’t wait to help you make your channel the best it can be! If you haven’t already discovered our social media channels, we encourage you to join us in conversation on the BroadbandTV Facebook, Twitter, G+ & Instagram and the VISO Facebook, Twitter & G+.